Jianne Carlo interviewed me in May. Here it is. Thanks, Jianne! From Jianne, on her website: I apologize for the delay in getting this blog up today. We had severe thunder storms yesterday, and our home network fried. Turns out that having a twenty-four hour Wal-Mart two minutes away isn’t as useful as having a nearby Radio Shack. Go figure. 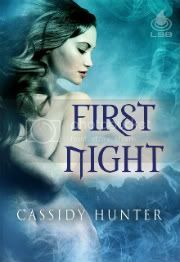 My guest author this week is a personal favorite, Cassidy Hunter. If none of you have read her work before, I urge you to start with Strange Familiar. OMG, I so love that book. Cassidy has that bent kind of mind I love. Strange Familiar is sizzling and funny – a combination you don’t see often. 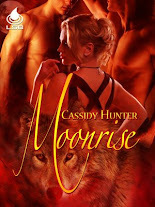 So let’s get down to it – Cassidy tell the readers a little bit about you. J: Was writing something you always wanted to do or a career you fell into? C: Writing is something I’ve always done. That and drawing. I was sighed at by many a teacher for jotting or doodling in class! Being published is a dream I don’t ever take for granted. I know how lucky I am. J: When did you seriously start to write for publication? J: How did you feel when you sold that very first book? C: When that first acceptance email came in, I was afraid to read it. But when I did and saw that a publisher wanted to buy my book…I must have jumped up and down for two straight hours. J: Do you have any other WIP’s you can share? Any release dates you can tell us about? J: What inspired you to become a writer? C: I’ve always been a writer; I just never had the confidence to seek publication until a few years ago. I liked nothing better than writing when I was a little kid--except maybe reading. I read anything and everything I could get my hands on. I read the cereal box at breakfast, I read in class, at dinner, before bedtime. I think the only place I didn’t read was in the car, and only because it made me ill.
J: If someone hasn't read any of your work, what book would you recommend that they start with and why? C: It really depends on what kind of story they’re looking for, but I’d have to go with Asylum. It’s my favorite. J: Do you have any writing quirks? C: Well, I have to have the title before I start writing; I think that might be a quirk. And I can’t write if my space is messy. I want everything exactly in its place while I’m writing. Sigh. J: What do you do when not writing your stories? C: I attend the university that’s only about twenty minutes from where I live. I’m currently enrolled in the Athletic Training program. I read, of course. I got a Kindle recently and love it! I also hike with friends, go out for pizza, and sometimes teach myself something just for the heck of it. A couple of years ago I taught myself to knit, and wasn’t surprised to find it really relaxing. I give everyone washcloths and cozies. J: What would people be surprised to know about you? C: Maybe that I grew up in church. My dad is a Pentecostal preacher. There were revivals, casting out of demons, speaking in tongues, handling snakes, strychnine drinking…the whole bit! J: If Heaven exists, what would you like God to say when you arrive? J: If you were to write the number one best selling cookbook, what would be the title? C: A bazillion different ways to make pizza and eat it for every meal and still be skinny. Dark eyes or Light eyes on a guy? Dark. Or sometimes light. But I do prefer dark hair on a guy. Chiseled jaw line or Chiseled abs? Oh my. Yes, please. Chocolate or Popcorn? Popcorn for movies and chocolate all the other times. J: I so love the fact that you have to have a title before beginning a story – I do too. 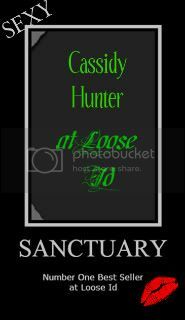 Chime in everyone, let’s pepper Cassidy with questions. Thanks, Becca! I'm sure she'll appreciate it :) Thanks for commenting!